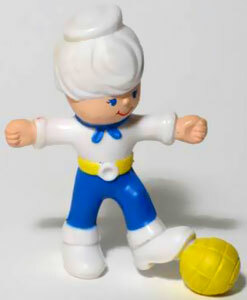 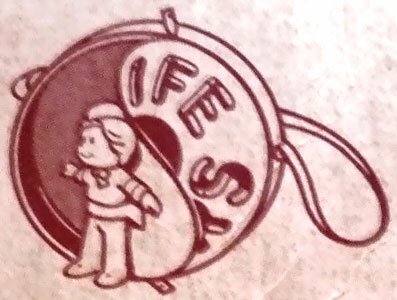 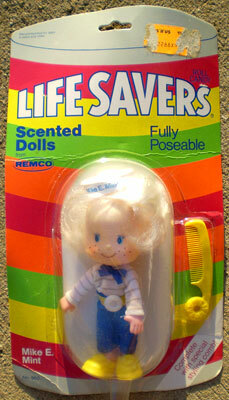 Life Savers were produced by Remco in 1981-82 and were a small line of scented poseable 6" dolls and 2.5" miniatures based on the long established US Life Savers candy. 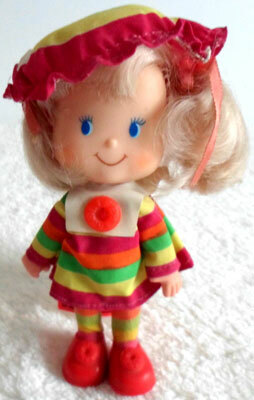 Images on this page thanks to Gregg Koenig, Pranceatron and eBay sellers collectabletoyshoppe , houndclan6 and marilynsdolls360 ! 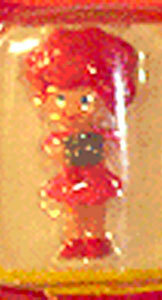 View all Life Savers on eBay.com or eBay.co.uk ! 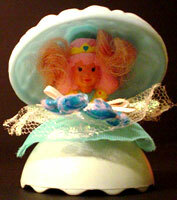 "Complete with special styling comb!" 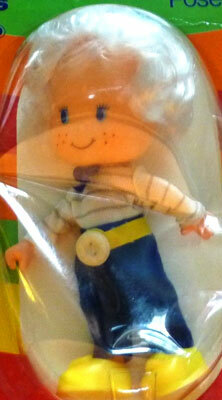 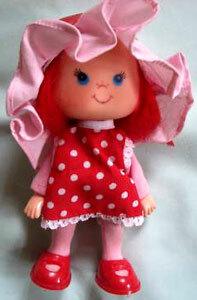 Each doll came fully dressed, including shoes and a hat. 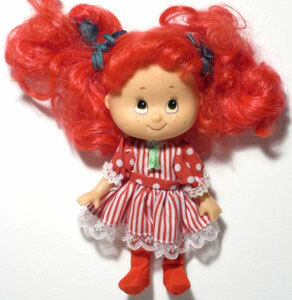 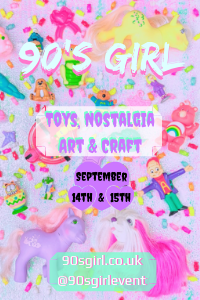 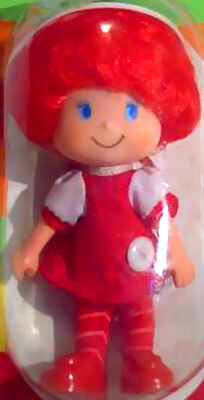 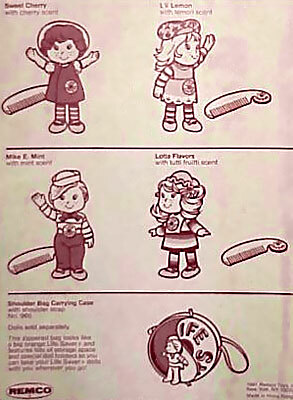 Each doll had button which looked like the Life Savers sweets attached to their clothing and a comb with the same shape on the end of the handle (red or yellow). 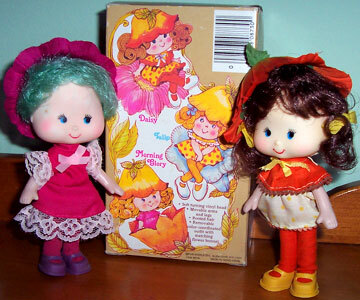 Each doll had a different scent, matching their names. 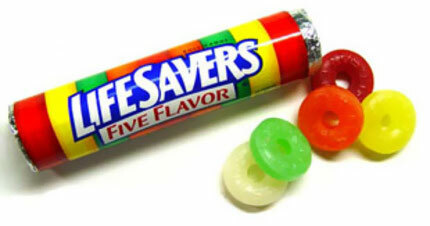 Life Savers candy came in five flavours (cherry, lemon, lime, orange and pineapple). 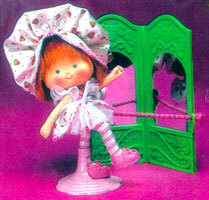 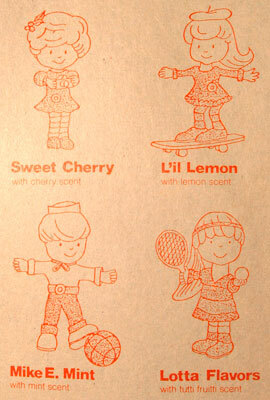 The dolls used two of these scents (lemon and cherry) plus two others (tutti-fruitti and mint). 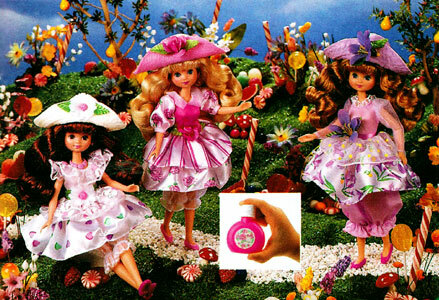 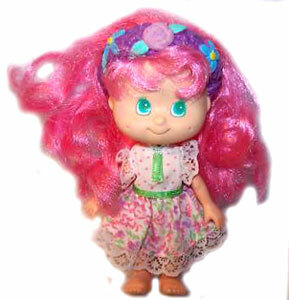 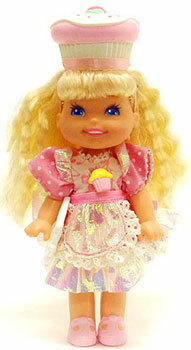 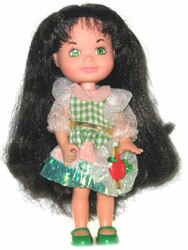 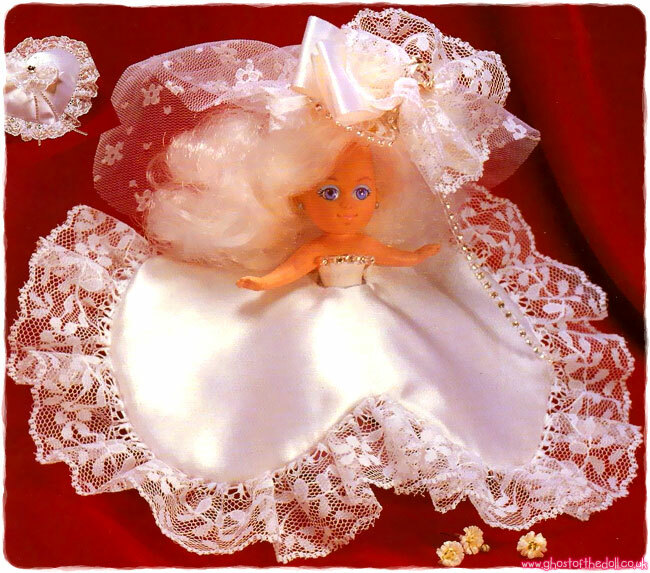 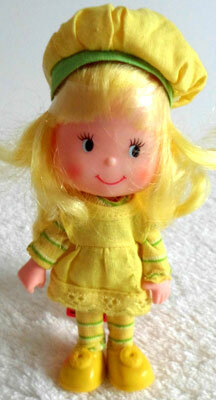 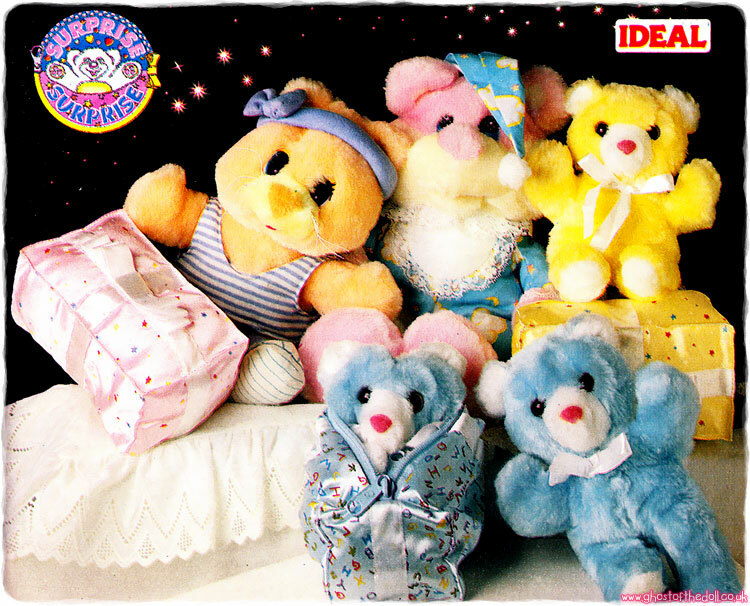 All four dolls were produced as scented 2.5" miniatures too. 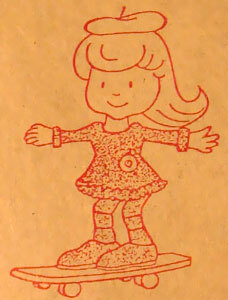 It's hard to tell in the image below, but Sweet Cherry is holding a camera. 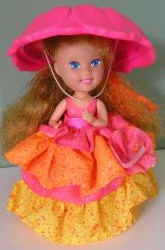 "This zippered bag looks like a big orange Life Savers candy and features lots of storage space and special doll holders so you can take your Life Savers dolls with you wherever you go!" 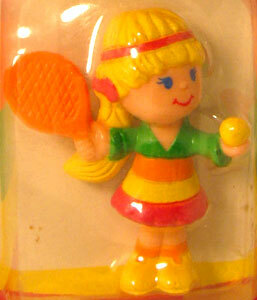 Back packaging has an illustration of a shoulder bag, but I have yet to find an image of the actual bag. 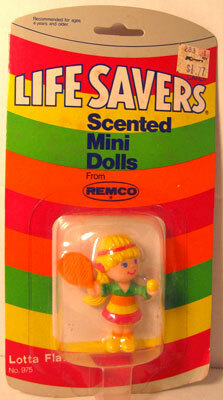 The packaging resembled the Life Savers sweets packaging and made to look like a tube of sweets.